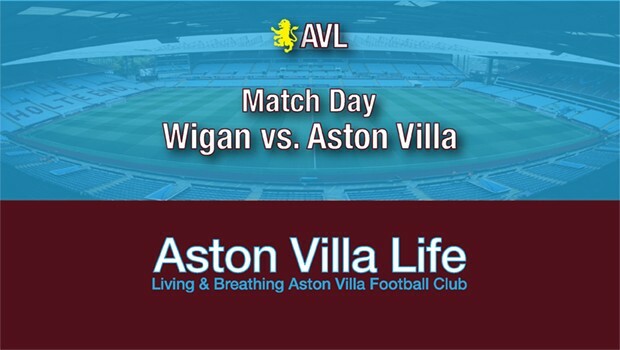 It’s off to the DW Stadium today as Aston Villa visit Wigan and look to start turning draws into wins. As everyone’s been talking about, it’s one of those weekends where Villa could make up some ground and finish the day seventh if everything turns out right. That, of course, includes getting all three points. In a bit of a surprise, to me anyway, James Bree will be starting at right back. Tommy Elphick and James Chester will be in the middle, and Neil Taylor out left. Not many surprises elsewhere, as Bjarnason joins Conor Hourihane and John McGinn in midfield. Yannick Bolasie and Anwar El Ghazi will be on the flanks and Tammy Abraham up top. Right now, that’s just about the best side Dean’s got, with the only real question being whether Bolasie and El Ghazi will impress since they’ve both struggled with consistency. Henri Lansbury can’t buy a break having tweaked his hamstring again. Jack Grealish is off in Dubai and out of his boot. Kortney Hause has been training with the team. Now of course this might not be the best side in a couple weeks’ time, as Villa seem to be quietly active behind the scenes. But for now, barring a bit of argument over whether Jonathan Kodjia or Albert Adomah should start, this is what we’ve got. And after the dismal display against Swansea in the Cup, I’m guessing we’ll see plenty of effort. Kodjia’s not made the bench, but Albert has and Alan Hutton will be keeping him, Hause, Whelan, Hogan, and Davis company. So, not much analysis. It’s three we want, three we need. There’s a whole lot of other stuff up in the air. Now that I’ve put in quite a shift at work this week and gotten a book sent off to the printers, we might dig into some of the other topics in the post-match or during the week. 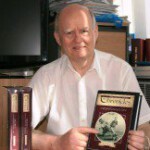 This entry was published on January 12, 2019 / John Clark. Posted in Aston Villa Blog, Match Previews and tagged "Albert Adomah", "Aston Villa Football Club", "aston villa life", "aston villa match preview", "Aston Villa", "Birkir Bjarnason", "Dean Smith", "Jack Grealish", "James Bree", "John McGinn", "Jonathan Kodjia", "Latics", "Scott Hogan", "Tommy Elphick", "Wigan", astonvillalife, Conor Hourihane, ”Tammy Abraham”. Bookmark the permalink. It’s been another difficult week, and Villa “have limped over the line” into the new year, as Dean Smith put it. But his demeanor in the Swansea pre-game presser seemed good. As one might expect, he’s looking to freshen up the side, and has done. O’Hare has been called up, Kalinic makes his debut, Taylor comes back, and Hogan will get a go. That could certainly have gone better. Let’s see what we’ve got in the second. 60-odd minutes gone and 0 shots on target. Would be nice to see some urgency in the transfer window. Or is our collection of fullbacks and midfielders considered adequate? Guess we just have to wait to know which rumors are true. I’d think we’d like a LB, and I’m sure another midfielder at least. Did the goal come from Hutton’s side again? No…was on Taylor’s side. Bree’s in for Hutton today. And a penalty conceded…0-3. Kalinic got a hand to it, not enough. Have to admit, I’m puzzled by Smith’s decision to bring on Hause for Elphick. Been shaky from the first touch, would’ve thought he really wouldn’t be ready to play yet. Well, complete and utter rubbish all round. This one is going to take some explaining. Battered by a team who can’t buy a result. Zip shots on target in 90 minutes. Wow. As far as goal goes, give Steer a go. What a shambles! That was even worse than last week. I’m a big fan of Deano but puzzled by some of his selections – is he listening too much to JT, or perhaps not enough? Either way, although Bree at RB is preferable to Bree at CB, Taylor at LB is largely an embarrassment and I would far sooner have had Hutton there. The new keeper looks frankly out of his depth and, at least until he knows his defence better & gains some confidence, let’s please have Steer in goal. I might add, I’d be nothing short of delighted to see JT get his matchday boots on again and show either Elphick or Chester how it’s done! Midfield will come good: Lansbury fit would help, and obviously we need Jack back pronto. But up front, again, I can’t see where Deano’s coming from in persisting with Bolasie. Sure, he’s always had tricks & neat footwork but, sadly, it’s never been matched with a brain. Time and again, he’ll over-elaborate until losing the ball, shoot when others are far better placed, or balloon a horrible cross miles over everybody. Give me Uncle Albert any day! It is. Again, at the risk of oversimplifying and kicking off another argument, this is why we need Jack. We simply don’t have anyone who can carry the ball, receive it in tight quarters, control it, consistently beat men, and in so doing create space. That’s the upfield part. At the back, it was certainly better with Tuanzebe. No question. Good athlete, was growing in confidence, could beat a man. Elphick should be reasonable enough, though nothing to be excited about, playing alongside a veteran like Chester. At fullback, we simply do not have shutdown players. They play off, cheat far to the inside next to the CBs, and are too easily beaten. See the difference between our widemen, like Bolasie, trying to get past Wigan’s versus their ease in coming inside or getting crosses off. The other big miss is that we don’t have a midfielder capable of spraying long, accurate passes. We can’t create the long through-balls that are so often our undoing, and generally have to take the ball through the middle to switch play. Further, apart from McGinn, we don’t have any real ball winners or terriers. He and Grealish look good because McGinn does the work between the boxes that allows Jack to play as he does. When shouldered with that responsibility on his own, McGinn is not the same kind of player. As far as Kalinic goes, I think it’s too early to tell with him. He was very unhappy with what was going on in front of him, and was given a number of shocking balls to deal with. You saw him gesturing to Taylor, I think, to use his head to take down the ball he’d dinked over to him. Personally, I think he’ll come good. He’s assured on crosses, big, and, for example, got a hand on the penalty as a result. It was just well-taken enough that it wasn’t enough. Anyway, disappointing result. It’ll be interesting to see what the owners do. The graph isn’t looking to flash for Villa at this time. It’s been flat for a while and conceding three goals is a hiding. I wouldn’t stick around if I were Jack Grealish. He should go to a PL team while he can. Villa is unlikely to be in the PL in 2019-20. No, sadly, my great novel still lies unfinished. I do, however, work in book publishing. So the work is all about typesetting, copyediting, design, print buying, editorial schedules, that sort of stuff. When we have a big book going to press, I might put in like 35 hours over two days, mainly proofing, correcting, finalizing files, etc. to minimize the number of errors that might need to be corrected on the printer’s proofs. Or, god forbid, make it into print. Grealish will certainly be gone. And at this stage of the season I think everyone involved is seriously evaluating the squad and what comes next. Of all the speculation, I’m most interested in the midfield rumors (giving some indication of what’s really being thought). But during the week, I think I gave up on this season. That’ll probably change, but what I’m seeing is that we just don’t have a survivable PL team, and if we do go up through the playoffs…well, we really could come straight back down. And, for the same reason as JC (the creating another argument bit – which I thought is what blogs are, usually!) I stick with what I’ve said that the main focus is the defence (it’s not working!) with the addition that Jack would help if was back. However, I would bet my next week’s dinner (my wife just cooks once a week!) that if he did return he would not make much of an impact straight away and, in any case, the defence has to be sorted as well. On the goalkeeper bit, he did make two very good saves and nearly pushed the penalty away, so he’ can’t be that bad. However I agree with Ian that Steer may well be just as good so paying money out for a keeper is probably unnecessary. And having said all that it’s just a few games ago when everyone was lauding Deano’s work. Just like Brucie, these past few weeks he’s had big challenges to face, but unlike Brucie the sacking option is just not on again. Not that I want him to go; he *can* get it together, but maybe next season. A very sad day which unfortunately underlines the fact that the club and its management team are still failing to do there job. We suffer injuries and need players, and somehow we had James Collins training with us, who picks up an injury, rips up a futile 5 week contract , leaves and goes to Ipswich, where today, he is MOM in the defence, making a total of 39 clearances, ensuring their first win in a long time. Meanwhile we have a reasonable defence, only losing 1-0, and we decide to put on a centre back, who no-one has played with, and has not played for 18 months, along with Whelan…. not exactly the wisest substitutions. We also start with El Ghazi and Bolasie, both of whom have been failures in recent matches. I am not sure where Dean Smith’s original plans and tactics have gone, but he certainly is not playing the way he started, or using the principles he did at Brentford and Walsall, which is what got him the job. He seems to have gone out of his way to basically use the same players that Bruce did, but with a different game plan that worked while Jack and Axel were fit, but he has struggled ever since their injuries. As JL says, all we can do is give support to Dean and his staff and players, but there is a serious need to look at tactics, substitutions, and the team sheet to start the game. I am sure JL is secretly saying to himself…. I told you so…..Bruce should have had more time….and he may well be right, but let us hope that with time Dean will ultimately prove to be a good choice. I do not necessarily blame the players, they are failing in some areas, but pointless substitutions are not going to inspire them. Players looking good in training is one thing, but as Peter Crouch says in his book, put them on the pitch and they just cannot perform in front of 20/30,000 people. This job may be just a bit too big for Dean and his staff at the moment, but now they need to be given time to grow into it. We do not need anymore changes, but does prove that the most important person at any football club is the manager. Yes, we have to be patient because there’s nothing else we can be without going round in circles. That’s funny about James Collins. If it’s an inability to adapt to changing circumstances that could be foreseen, it is the manager that is ultimately responsible. Yesterday was shocking. And the performances are getting worse. But all since jack and axel have been injured. No coincindenve there as they are 2 young players who are good on the ball. Hause, hope to god Henry at lb are the vision under smith. Young, energetic, quick and can play. I’d love sawyers too. If we want play offs. Getting a lb cam and cdm are crucial. Villa fans can turn quick. I just hope smith can get a run going to keep him out of pressure for the season. We have a huge re build job and I totally trust him to be the one to re build it. I am in much agreement with your remarks. But no, Paul, there’s no “I told you so” feeling on my part. Though I think Bruce was treated a bit roughly, I do think Smith has more potential so therefore I’m not looking back. Trouble is Smith is making selection choices that baffle me a bit even taking into account the injury list. I too would much prefer Albert over El Ghazi. I’d also love to see Green back instead of Bolasie, but that’s not going to happen and Green is not quite back to last year’s form I think, and Bolasie can still ‘do it’ once we get back to Smith’s earlier team form. Yes, Andrew, a home game next up and one where we must see the real Villa. Andrew – Smith has a squad with an average age of 30. His Brentford and Walsall teams…23. His style of play is high press, energy and possession. It just does not suit these players that Bruce got. Correct but the test of his managerial qualities must be precisely that – we have U23’s who are knocking goals in LR & C as well as other ‘more senior’ reserves who are not getting on the pitch. Contrast that with the young players getting on the pitch for other teams above us. We cannot blame Tammy for missing the one chance we had – he never got another. JC if we do go up through the playoffs…well, we really could come straight back down. Too true and in my opinion we should not seriously give any hope for anything but re-building to fight another day. Difficult to see who Smith should pick otherwise, i.m.o., certainly amongst the ‘seniors’, with Lansbury and now Kodjia injured. Having seen u-23 matches I don’t actually see more than a couple who could upgrade and be useful in the first-team. However, if you’re saying let’s use this season to experiment then there’s an argument for that. As to Tammy not getting chances, that’s unusual – and the attack has been profligate all season. As I said last week we’re not putting anywhere near enough shots on target and of the paltry 4 attempts yesterday not one was on target. Our u23 need games on loan somewhere else. Rush Murphy is now and get Ohara out on loan. Then next season could help us. Apparently green was terrible yesterdary. I hope the villa job does not change smith. Stick with what he was doing at Brentford and Walsall. Lost for words after Smith admits that yesterday was the worst day of his managerial career, as I hate to think what he will feel after playing Hull City on Saturday. We seem to be back in the early days of Bruce, when players were getting injuries all over the place in training. Jordan Lyden is out for the rest of the season, and will probably never play for Villa again. What has happened to John Terry, and why is he not making sure the defence does its job?? It is awful reading all the blogs, and the trashing of so many of the team, who seem to have been totally effortless, apart from a poor John McGinn and Kalinic, although he has now conceded 6 goals in two games. No-one could understand the substituting of Elphick, when Chester was worse. Saw Jordan Bowery hit the headlines for scoring against Newport County and getting an assist, glad the lad made it somewhere. No good, bad and the ugly…..
Maybe just bad, worse and the ugly….. I am sure dean has learned his lesson well this time, and will not demoralise a team that had been struggling, but still in the game, and probably still wanting to get a result, by taking out one of the better players and defenders, to put in someone completely rusty and raw, and a player who puts in plenty of effort, but has no legs, for a younger and fitter player who is just getting back into the team. The only plus being Albert. You have a point, Paul! And I agree with what you say about Smiffy. Another matter came to my mind today. And that is the spirit of the team seems to be down, compared with a few games ago). Did Smiffy make a mistake by putting forward McGinn as the example of what he expected? Did it create a negative reaction, as opposed to what he was trying to achieve? When I look at the Vital Villa ratings of the players for the Wigan game we see players like the Icelander, Conor, Taylor and even Chester being really near the bottom of the scale, with others not being that much better. Is Chester’s problem still to do with a knock? This is certainly where the return of Jack would be a great asset as certainly he generally plays as though he means it. He and McGinn seemed to be so effective perhaps because of their attitudes playing in combination. but when you look at players like Bikir and Conor I often feel that they play more like machines and I feel they don’t take criticism too well. Players with a truly professional attitude for me are Hutton, Whelan, Albert, McGinn and Jack. OK you can say that a couple of those would (technically) be dubious selections, but if it’s fight you’re after I’d prefer those. I would normally include Chester, but what’s happened? maybe we need to tinker and play 4231 just to tighten it up a little. Pull mcguin back in the 2 with bjamson? That makes sense Andrew, just depends who Smith puts in the three in front, as Tammy would likely remain up front, unless Tammy drops into the three and Davis goes up front. PP, Fans shouldn’t be trashing so many of the team. When DS had them flying just a few weeks ago, they don’t suddenly become bad players. Something changes. Surely it’s not all down to the absence of Jack and Axel. Other factors must be at play. But fans complaints are not surprising after shipping 6 goals without reply. In my playing days, we never changed the centre backs mid game unless one got injured. We were losing 1-0 and couldn’t pass the ball to a team mate. So the sub of a centre back left me scratching my head. Especially as we did not change formation to 3 at the back. Wonder if we’ll get a response against Hull next time out. Wind them up and bring back the all out attacking play. David Wagner has stepped down at Huddersfield! Hope your AVL hibernation is going well. It seems that Pompey put him out as a striker, an experiment that failed. seems like a mutual thing with wagner going. Apparently he lost his way. defensive footy and bad signings. don’t think green really starts much for pompey? Best place for him out on loan. see o hara is going to go out too. O’neill’s appointment confirmed by Forest. Wonder who will be the first to offer Wagner a job??? Micah Richards to Celtic…. or will he just sit his contract to the end of the season?? U18s on utube now v reading 3-0 so far. May slaughtered: her proposal defeated by 432 to 202. What a mess. At the same time it has galvanised the Tories and DUP to supporting her in the vote of “no confidence” tomorrow, and at the same time “no deal” is less likely, and Vince Cable is probably right that it may be the end of Brexit. The most likely outcome now is a second referendum, if a cross party agreement cannot be made. John L – it appears that being 230 behind May is going to follow on. Theresa May that is not Peter!! I hope they sort something out soon my pension has devalued by 25% since the referendum affected the £/Thai Baht exchange rate – down from 55 to 40. When I moved here in 2007 it was 72 -so much for our strong economy. Strange … I was thinking of Peter May only this morning! Sorry to hear that you’re having to eat more noodles these days. Seriously, we have a situation in the UK where the right hand doesn’t know what the left is doing anymore. And vice versa. Yes, what you say is quite correct. Whichever major party has power we’re going to get further mis-government snd I don’t like either of them. For me the only party that makes sense is the Greens, but I can’t see them getting anywhere. I don’t know if this has already been posted in my absence but I found this article thought provoking. Thanks for posting that, but it probably only states what many on here have already been saying for the major part. Ir’s a somewhat negative read and my feeling is let’s just see. Predicting outcomes is a hazardous business at the best of times. Particularly as to Grealish having clubs coming sniffing for him at £45m – that’s complete hogwash as things are right now, i.m.o. And I can’t see Jack making such great waves between his return and the end of the season to cause that ‘sniffing’ to even start to become a reality. that’s ramsay signed a new deal yesterday. Good news on tammy john! Watched the under 18’s game last night and was very impressed by our young Lions, and especially Colin Adutayo, a younger winger, who was outstanding, scoring the first goal, which any player would have been very proud of, in his composure going forward, and his final shot. He also made a wonderful assist for Ramsey’s first goal, and was in the thick of things during the game, and his final shot, again a real cracker, resulting in Wright scoring the fourth goal. Unfortunately, he was stretchered off at the end of the game with a bad tackle, and was substituted by another Villa youngster, who has just signed professional forms, Michael Tait. Was very impressed with Ramsay too, and he and Odutayo worked very well together. Will be watching out for these youngsters and our progress in the FA Youth Cup. The 17-year-old is Aston Villa’s most clinical striker in the U18 Premier League this season with 6 goals from 12 appearances and has also appeared in five games for the U23s in the Premier League 2, a sign he’s really making good progress at Vilal Park. Well it looks like we have made our third signing, an under 19 international Bulgarian goalkeeper!! Ross McCormack could be the stand out signing of the January window……. Maybe, if he scores a bagful of goals, it may make Villa think about another player that we have paid millions for and wasted…. The worst and the first for me was £7million for Collymore, followed by many others since..
It’s been a poor couple of decades for strikers, by and large, hasn’t it Paul. Angel (part) and Benteke have been the main successes I think during that time since. Congratulations to Frank Lampard and Derby County for such an amazing effort tonight to win through their match in the FA Cup…!!! We can confirm that @AndreGreen_ has today returned to the club following his loan spell at Portsmouth. … Theresa May will go on to the end. She will defend the transparently indefensible, whatever the cost may be. And if this island, or a large part of it, were subjugated and starving… actually let’s not dwell on that bit. She is indestructible. She is the cockroach in nuclear winter. She is the algae that survives on sulphuric gas from sub-aquatic volcanoes, seven miles beneath the daylight. She is the Nokia 5210. She has suffered the biggest defeat by any prime minister in the House of Commons history. She has thrown away her party’s parliamentary majority, and she stands singularly unable to deliver the only thing she is in office to do. As Theresa May’s fate is laid bare, the wizard’s curtain behind which Jeremy Corbyn has hidden for so long is being pulled back in agonising slow motion. There’s nothing there. Just staccato anger, abstract nouns and absolutely no idea what to do. This is today’s leaders of the two biggest political parties we’re talking about. It may be that 40 years of membership of the EU has caused us to sink to this level. Going to watch Norwich vs Blues tomorrow. Any chance we can recall Gards? Will be interested so see how he’s playing now, assuming he’s not injured. It’s tough on any manager taking over a club mid season. The 2 injuries have exposed a weak team, with an extremely poor CM. Taylor must be the worst LB ever to play for Villa. Surely Hutton or U23 player must play the next match. I also think Tammy needs support. Why not give Hogan a run out with Tammy. 100% agreed. I’ve long said that she has the perfect approach to politics – i.m.o. – plus her p.o.v. But in the system as things are she doesn’t stand a chance. Another MP who I admired was the leader of the SNP until he lost his seat a couple of years ago. But he was often magnificent on the floor of the House. Well he has played some decent games for Villa i.m.o. but in this current period he sticks out for criticism having just come back from injury, and in a situation where Chester was also carrying injury the rest of the defence had to do more. And Taylor for some reason couldn’t. Agreed that probably Hutton is the better option though. Hutton has been ok at left back, but Mitch Clark should have been use4d there by Bruce, instead of being loaned out. He had been outstanding last season in the under 23’s and had been on the bench a few times. Taylor is ok, when he has a winger capable of dropping back to defend, but El Ghazi and Bolasie fail miserably with him. Not particularly impressed with the Guardian….The fact of the Matter is, the people voted to leave the European Union, and that was the only question in the referendum. Theresa May has carried out the will of the people and obtained a deal to leave the Union in an orderly fashion. The people did not vote for a no deal Brexit….. The people did not vote for a soft Brexit….. The people did not vote for a second referendum, if parliament do not like the terms offered by the EU. The house of Commons is set up in a style that has not changed since its inception, which is the equivalent of a Punch & Judy show! The houses of Parliament should be turned into an historic museum, and never used again. A new conference centre for 500 MP’s should be built in a modern style which encourages debate, but also a more togetherness, as in the style of modern parliamentary buildings, which stops this constant barrage of heckling and other such inane behaviour which does not impress the public. It is also wise to point out that taking “no deal” off the table weakens our hand, when negotiating with the EU, because basically we are saying, please give us a deal, we need one. I was quoting the Independent, Paul, not the Guardian. The quote about May is spot on … as Caroline Lucas says on the link above. May has tunnel vision – and think perhaps you may as well as the 2016 referendum was totally devoid of clarity and the idea of another referendum is to cover the situation now that people have had chance to evaluate what it’s all about. In 2016 they were told all manner of lies. What is there to lose by having another referendum? If the verdict remain as it was in 2016 (as some seem to think it will) then that’s it. But at least let’s go one way or another based on realities and not falsehoods as given in 2016. I would have agreed at one time, that people were misled over what they were voting for, but there is an overwhelming majority that have clearly said that they voted to leave, and if we do not, then they will feel betrayed. We have reached a very dangerous stage, where so many people are so exasperated, that if we do not carry out their wishes, then there could be serious consequences. Interesting , that the British Forces have been put on standby, and call up notices are going out to the TA, indicating that they may have to serve up to 1 year, when called upon. I think that Farage, Blair and many others have caused so much division, as Corbyn is now, by not coming out clearly and stating where his position is, have and are turning everyone against politics and democracy. THe ERG group have also caused mayhem with their position, which would see little support anywhere, this fiasco will last for years and have a very damaging effect. Sorry Paul, I would hardly describe less than 4 percentage points difference (52-48) “overwhelming”. Aside from which the under-40s – whose future it is – were outvoted by us old fogies! And – as I stated – the a4rguments put over were very badly delivered and some people fell for it hook line and sinker. If you watch Question Time on the Beeb this is stated over and over. As for Corbyn … he, like May, is not a good party leader. They’re a bit rare JL, but May is even worse, & just think we could end up with Boris as PM. Hope you watched question time tonight, and you will then realise that everyone in this country just wants the Parliament to get on with Brexit. Diane Abbott suffered for her defence of Labour and JC. I did see QT, Paul, and there was a strong Leave support in the audience, but don’t tell me that is representative of “everyone in the country” follows that view. You can’t judge from a QT audience what the whole country wants. The reason why I brought up QT is because you regularly hear that people say they were not properly informed on what the facts werein 2016, and one lady was strong on that view last night – one being a lot fewer than normal. I didn’t hear any young people that spoke much in favour of Brexit and it’s the young whose future that’s important. Whether there’s Brexit or not I still say another vote is necessary just to clarify. As for Ms Abbott, she is well meaning but I’m afraid I don’t think she is a very well person and seems adrift of the topic very often. And Boris has a brother MP who is almost the antithesis of his brother! But I’m afraid we’re hardly spoilt for choice for competent leaders of the country, are we? You say May is even worse and I don’t disagree, but I just cannot imagine JC as a PM. Just can’t. The audience on QT in Derby is very representative of people throughout the country that I meet today, and on social media. The voice for leave has grown through the failings of the opposition to listen to the people and what they voted for. People who attend QT are those that feel they have a particular p.o.v. they want to follow up on, not a great number of people who keep their politics more quiet. Also I’d say that Remainers – in the main – are not vociferous, and also you see very few younger people (under-30s) at QT. So I’d say the matter is indeterminable – until we have another vote. And – as I’ve said – if it’s still ‘Brexit’ then that’s it. The fact remains there’s nothing to be lost by having another vote anyway, just to be sure after all the strife and mismanagement and interpretations of what Brexit is supposed to be. So you see, Paul, I’m not arguing one way or another about which way we should go. I’m simply arguing for another vote, when it will be found out whether in fact or not you are right. Until we have that vote no-one can truly say how the country is divided. When I said “People who attend QT are those that feel they have a particular p.o.v. they want to follow up on”, that goes for people on social media too. It seems that a snap poll taken yesterday reveals that there’s a 12-point margin in favour of Remain. Not that I’m a huge believer in spot polls, but it does indicate a change in national opinion. Strange, but most of the people I meet voted Remain or didn’t vote. but I find little variation in people, whether in the Midlands, Wales, or Bristol, but probably most are in the 50+ group, which is one of the more active ages for talking and voting. I am well aware of how audiences are selected for Question Time, having watched it for many years. I meant that the audience was reflecting the opinions of the majority of people that I have talked to, and believe me, I have listened and talked a lot over the past twelve months. What many felt a year ago has changed in some cases, and hardened in other cases. I am sure that there are polls which reflect a mood of staying in Europe, but like the interviews on tv conducted in the street and in shopping centres, most folks these days have no wish to talk to the cameras, or let feelings be fully expressed, as they may really let fly. Most of the country, I feel, have reached exasperation level, and a further referendum will blow the lid off the can. Perhaps the words of Thomas Payne are behind everything somewhere, as he managed to ignite the two biggest revolutions in the world….. I don’t doubt you’re right, Paul … but that doesn’t mean to say that many others you may not know about are ready to (or have already made the) change. And don’t underestimate the under 40s as they may well decide the whole thing – and good for them, it’s their future. What right do we (in our winter years) have to tell following generations what they want!!! Yes, I’ve been watching QT since Robin Day as well! Okay. Another long week making books.